User Retention: Should You Be Concerned? Imagine spending $50k - $150k or more on your mobile app business. You hammered out your business plan and business model and they are reliant on users continually using your app to be successful. You spent time on working closely with your development team to build the first iteration of your app and supporting infrastructure. You launch the product and have a team working on marketing and acquiring users. You can see that your application is being downloaded, but after a month or so, you notice your daily active users are dropping like flies. I’m sure you would be wondering what is going on and how can you change it. Well, settle in and follow along as we dive into the subject of user retention and what you may be able to do about it. Engagement: As measured by Power Users – the percentage of an app's users who have 10+ sessions in a month (i.e. how many highly-engaged users an app has). Every mobile app is different and will present new challenges for user retention. Some tactics can be implemented after development, but many should ideally be considered before any code is written. We will cover a few ways to positively affect the above areas and show how we helped one of our clients implement them. What your user experiences when first interacting with your app is critical. It could be the difference between “love at first sight” and “What... is this?” Remember in the app world, first impressions go a long way and you only have a few seconds to impress the user before they pass judgment. When creating your onboarding, try not to frustrate your users with long and arduous signup processes. Many users can be deterred by filling out long forms on mobile devices. If it is fitting for your app, try to present value to your user even before they sign up. This can be in the form of an educational paged tutorial where you show the most valuable features of the app and how they will benefit them or even as simple as using a short explainer video in the App Store. 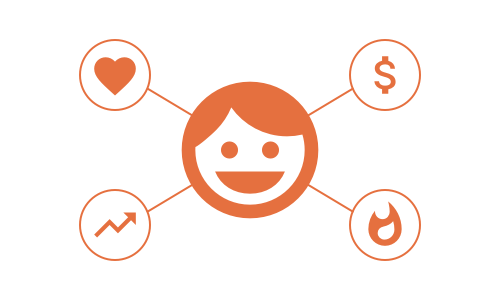 Offer streamlined signup options like Facebook or Twitter. Eliminating as many steps as possible from the user’s path to the heart of your application will help you connect them to what your app is supposed to do for them. That being said, be careful not to overdo it and remove too much. There is one thing that should be done as soon as possible. Ask for needed permissions early and with tact. One study shows that up to 60% of users turn off notifications. So, when it comes to asking for permission to allow push notifications, don’t skimp. Provide the user with valuable reasons why they want to allow them. Getting users to opt in will be handy later if you need to re-engage them after a period of inactivity. Attach value to notifications by highlighting why they would want grant permission prior to the system alert. Unless your app fulfills a daily utility like GPS navigation or email, you may want to consider how to make your app sticky. App Stickiness, in short, is how much an app keeps users coming back over time. In the case of a navigation app, user experience issues like inaccurate directions, slow user interface, and hard to enter addresses will detract from an app’s stickiness. With so many competitors in the market, users can easily delete apps with poor user experiences or use them as infrequently as possible. It’s important to spend the time to constantly improve and update your user's’ experience so as not to incentivize them to jump ship. In other apps where user generated content is present, elevate it. Making it easy for users to consume fresh new content will aid in making your app a daily check in even if they don’t need to use the app for what you may have intended it to do. This idea is one of the core components in news feeds and home pages and can be seen in any successful social media platform. If a user sees that there is no new content the next day, they will be less likely to revisit your app the subsequent day. Another long-term strategy to think about is feature roll out. It’s tempting to give the user everything you think they want in your app, but this can lead to a high learning curve to your app, not to mention it can also end up in a lot of time and money in implementing features they didn’t actually want or end up using. In keeping your app lean, you will save some of those potential features and find out from user feedback what they really want. By frequently updating your app with what adds value to your user base, you keep your app fresh and may end up reviving older inactive users. Nowadays, it’s quite common for cars to come equipped with displays that provide details on how your car is performing. At the very least, you have a check engine light, a fuel gauge, a temperature light, trip meter, etc. A lot of cars are also coming with fuel economy data, tire pressure, navigation and a host of other widgets as a standard. Why provide this information? Because without them, we may find ourselves stuck on the side of the road in the middle of nowhere. You must think of your mobile application in the same light. Imagine spending $50k - $150k on your car and not being able to tell if your gas is low or if there is an issue with your engine. It sounds crazy, but this is often the case with mobile apps. Analytics are often overlooked or undervalued when it comes to planning an app or come as more as an afterthought. Knowing how your app is being used will help you to determine how to continually add value to your users. It will also help you identify users who are starting to become less engaged with your app. In addition to app launches, what else should I monitor? Many 3rd party analytics tools will provide the most common Key Performance Indicators (KPI) out of the gate, like app launches, session time and daily active users, but anything else is completely up to you and the app. What your app does should determine what you want to track. In the spirit of lean development, you often are developing on an educated hypothesis of what you think people will adopt in each iteration. The first version usually starts with education from research on market conditions, user surveys and direct observations of a need to be filled, but what goes into subsequent versions should be determined from data that is gathered directly from your app. There are a few ways you may be able to communicate with your users. First, if your users are required to use an email address to create an account, you can send them an email. If you send them a welcome email as soon as they create an account, future emails will not seem out of place. In the case where users deny push notification permissions, this may be the only way to communicate. Keeping track of who has and hasn’t allowed notifications will be important here because you many not want to send emails to those who get notifications on the device. 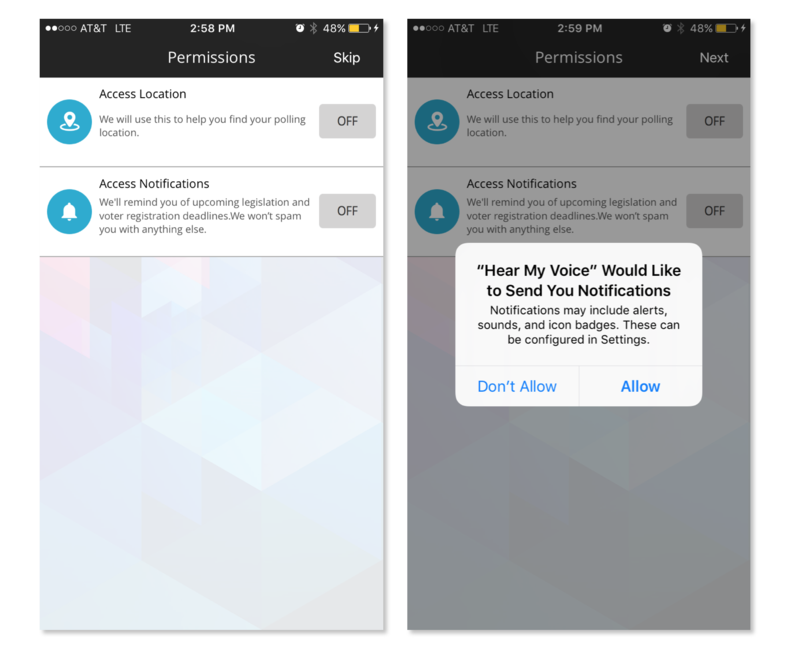 If a user has enabled push notifications, implementing a platform that will allow you to target specific devices will allow you to target and send notifications to specific users who need them. Virtually every mobile app's success hinges on not only acquiring users, but retaining them. Managing your user retention rate is a crucial part of growing a sustainable business. By taking time as early as possible to address and implement various strategies like the ones we have covered, you can positively affect user retention and user engagement. In the next section, we will cover how we helped one of our clients implement some of these strategies including how we helped take their push notification game to the next level. Need help with your app? Let's chat.